What matters most is doing the simple things well. 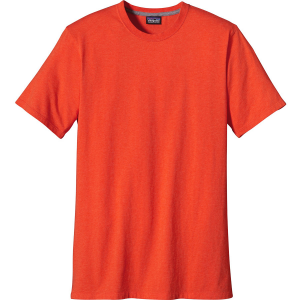 Made from heathered, soft-wearing organic cotton jersey knit, the Patagonia Men’s Short-Sleeve Daily T-Shirt is a basic, built-to-last T-shirt that will see you through. Worn alone or layered under a long-sleeve shirt or jacket, the Daily features a slim fit, straight hem and taped shoulder seams for comfort and long-lasting strength.